Interested in "roughing it" in style? Don't want to sacrifice comfort while communing with nature? Here's what to expect on a luxury dude ranch vacation. by Darley Newman of www.equitrekking.com If camping out under the stars isn't your thing, but you like to ride horses or want a very comfortable ranch vacation, a luxury dude ranch vacation might be a good fit for you. After researching upscale ranch holidays across the United States and Canada, I came up with answers to some common questions travelers may have about what type of vacation they'll experience at one of these luxury ranches and some fun photos from ranches that you might want to choose. One of the biggest modern luxuries for riders who visit Home Ranch in Colorado is the million acres of Rocky Mountain Wilderness. What are the accommodations like at a luxury dude ranch? 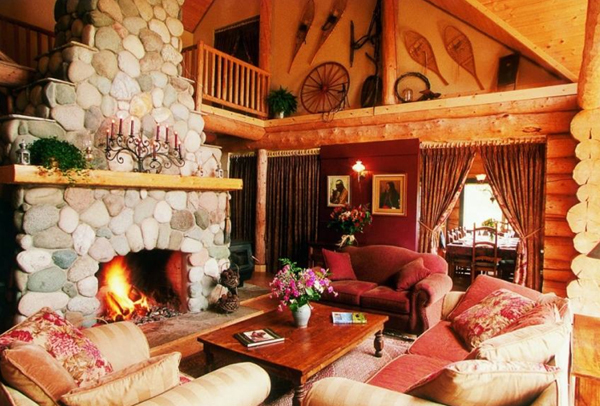 As in with any upscale vacation, accommodations vary, but many luxury dude ranches offer beautiful Western decor. You may recline on handmade log furniture. You may be staying in your own cabin, an elegantly furnished log structure or entire ranch style home with grand stone fireplaces, a hot tub and fully stocked bar. At BC's Siwash Lake Ranch, suites and luxury tents have plush linens, private baths, balconies and beautiful lake and wilderness views. Other ranches help you feel closer to nature in plush tents–– tents that you won't be pitching yourself. Many are constructed on wooden floors and have en suite bathrooms, art decorating the walls, and even electricity. Adobe-style log beams, Native American rugs, and king beds with down comforters decorate rooms at Home Ranch. How much does a luxury ranch vacation cost? Riding vacations in general can be economical, which surprises many people when they think about how expensive it is to keep a horse! Ranch vacations average from around $1000 or $2000 per person for an all-inclusive week to around $3500. Considering that this includes all riding, meals, accommodations and sometimes transportation, this can be a good deal. Another advantage of many ranch and riding vacations is that you can know your budget well ahead of time. Luxury ranch vacations that I came across ranged from $250 a night per person double occupancy to $7,500 and more. The sky is the limit, as are the perks! What are some fun perks those prices include on luxury dude ranch holidays? Your vacation package may include private guides for hiking, fly-fishing or horse riding, golf, gourmet meals, dinner shows, fitness centers, indoor riding arenas, hot tubs, personal chefs, spa time and private cabins with fully stocked bars. Rancho de los Caballeros in Arizona offers Home Sweet Home Milk Baths, brown sugar scrubs and peppermint essential oil body wraps. For instance at Home Ranch in Colorado, food is a major focus. Dinner may consist of pan-seared quail stuffed with dates and prosciutto topped with a demi-glace and Maytag bleu cheese crumbles over soft polenta with manchego cheese and asparagus or crispy seared Alaskan halibut with braised spinach, wild rice pilaf and glazed baby carrots. Is your mouth watering yet? At Vista Verde Ranch, a Colorado luxury ranch resort, an Executive Chef hosts a hands-on cooking classes and wine tastings. 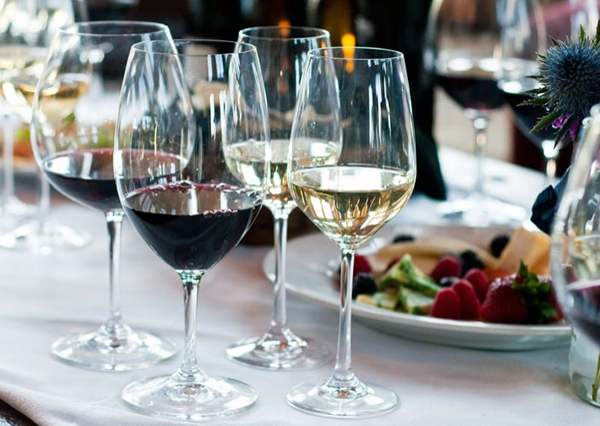 House wines, beer and a variety of sodas are included in your stay. Vista Verde Ranch hosts formal multi-course dinners to delight ranch "foodies." For more information on Dude Ranch vacations please visit www.duderanch.org or call The Dude Ranchers' Association at 866-399-2339.